Leonie is a leading kaupapa Māori educator and researcher, well-known in our communities. She graduated with her MA (1993 First Class Hons) and PhD in Education (2001) from the University of Auckland. This was a pivotal time and place for the development of Māori education. Leonie was critical part of the emergence of kaupapa Māori in education alongside Māori academics at Te Aratiatia (Māori Education), Professors Linda Smith, Graham Smith, Margie Hohepa, Trish Johnson and Kuini Jenkins. Leonie’s key contribution was her focus on kaupapa Māori and mana wāhine theory. Her teaching, research and scholarship is always clearly positioned within kaupapa Māori and mātauranga Māori. In 2004, Leonie was appointed Director of the International Research Institute for Māori and Indigenous Education (IRI), University of Auckland, where she extended the reach of her educational research to a national level and developed strong research networks at an international level. Leonie was the Inaugural Senior Māori Fulbright Scholar in 2011 spending her time with the Indigenous Wellness Research Institute, University of Washington. Capacity building is a core component of Leonie’s leadership style. As a former doctoral student (Leonie was one of my supervisors), I have experienced first-hand Leonie’s expertise to not only teach and supervise, but encourage, support and mentor students. Her commitment to supporting the next generation of Māori scholars is evidenced in her on-going leadership in the Māori and Indigenous (MAI) Doctoral Programme, as well as research projects aimed to strengthen the next generation of doctoral graduates and emerging scholars. Leonie is well-regarded as a kaupapa Māori academic and activist with a strong history of teaching, research and scholarship. Her courageous kaupapa Māori critique of issues sees her often speak publicly in the media about colonialisation, racism, sexism, social justice, and tino rangatiratanga. 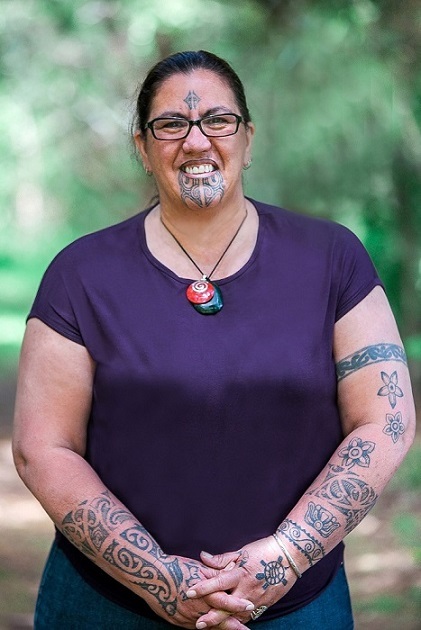 Leonie exemplifies mana wahine not only in her work as an academic and activist, but through her active participation in whānau, hapū, iwi, and communities. Leonie is a mother of six and grandmother of four. Kaupapa Māori leadership is not a research project or topic of study for Leonie, it is the way she lives her life.